The story of the Eskimo: Who is on the tail of Alaska Airlines’ planes? To five-year-olds in Kotzebue, Alaska (and Internet surfers round the world), the question of just whose face adorns the tails of Alaska Airlines 737s is a heated one. It is an oft-asked question about the Seattle-based airline, but the truth is anything but simple. Alaska Airlines is embedded into the fiber of the communities it serves in the harsh, breathtaking state of Alaska in a way that can’t be replicated in the 71 destinations it serves in the lower 48. In Alaska, the airline brings the mail, the groceries and the medicine. And because it is so vital, the face on the tail represents more than just a logo. It means safety, family, community, home – and, more often than not, a grandfather, uncle or family friend. Alaska’s iconic Eskimo first appeared in the skies in the early 1970s, but the airline’s history goes back much further. The company was born in 1932 when Linious “Mac” McGee started flying his three-passenger Stinson from Anchorage to Bristol Bay. Two years later, McGee Airways merged with Star Air Service and became the largest airline in the state, with 22 airplanes. After another decade, and several more mergers, the airline found the name that stuck: Alaska Airlines. The Eskimo first appeared in 1972, when Alaska adopted a four-logo paint scheme – a totem pole, to represent the native culture of Southeast Alaska; a gold miner, to represent the booming gold rush days in Alaska; Russian spires, to represent early Russian heritage in the state of Alaska; and a native Alaskan adorned in a traditional qulittaq (parka with ruff) to represent the Arctic region and its people. 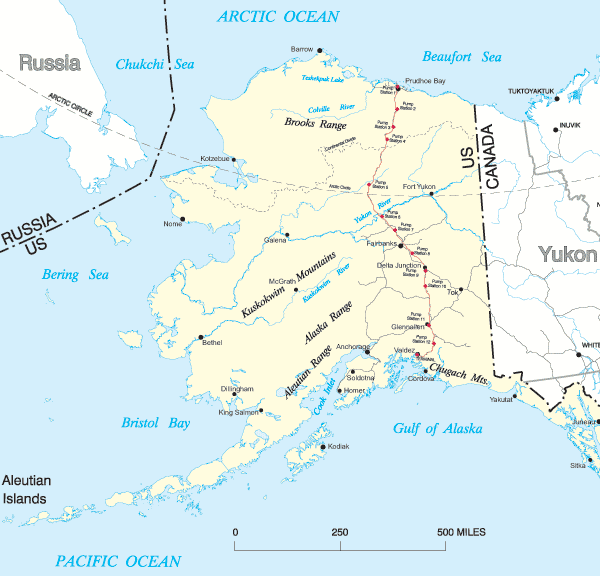 Indigenous Alaskans in the Arctic, traditionally of Inupiat or Yupik descent, commonly refer to themselves as Eskimo. “I am from Northwest Alaska. For many of us from that part of the world, there has been a sense of pride and a feeling that Alaska Airlines is acknowledging our identity with the display of the Eskimo on the tail of their aircraft,” says Helvi Sandvik, a director of the Alaska Air Group board and president of NANA Development Corp., an Alaska Native corporation. These four liveries adorned Alaska’s jets from 1972 until 1976, when the company adopted the Eskimo tail fleet-wide, and updated the face to be less stern. The adoption of the four-logo scheme was a bold move for an airline in 1972, and a drastically different look for the 50-year old company. 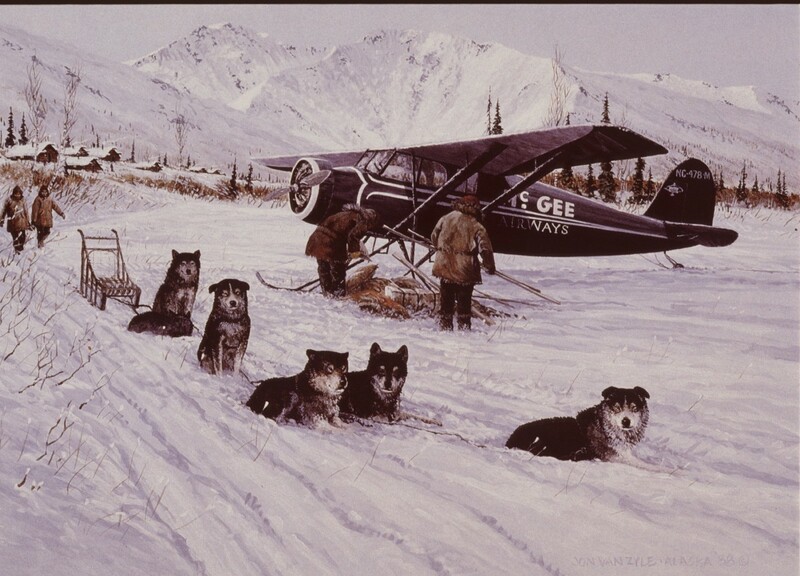 The Eskimo was first introduced in 1972 as one of a set of four liveries featuring iconic images from the state of Alaska. The earliest design featured a stern Eskimo and the word Alaska written in black block letters. Suttell started at the company in 1971, during a turbulent period for the airline. It struggled with a messy operation (late bags, delayed and canceled flights), a poor reputation and a cash flow problem. The introduction of the four logos, and with them, the Eskimo, heralded big changes for the airline: new leadership, better financial oversight and a renewed focus on its operation and its customers. With the exception of a few color tweaks, the smiling Eskimo from 1976 has remained more or less unchanged for four decades, although discerning eyes will notice that many of the tails don’t quite match. In the early days, airplane liveries were hand-painted, and tales abound of maintenance employees who would give the Eskimos they painted a signature twist to set them apart when spotted. In January 2016, Alaska unveiled its first major brand update in a quarter century, smoothing and modernizing the Eskimo for the digital age and adding invigorating pops of color around his ruff. The other three designs were retired after several years, and the face on the tail was given a smile and applied to the rest of Alaska’s fleet. From the mid-1990s on, Alaska jets featured the airline’s most recognizable livery, still flying on many of its jets today. In early 2015, a handful of Alaska jets were repainted with an interim refreshed design. The letters in the wordmark were smoothed out and the extended leg of the “K” in Alaska was lowered. In January 2016, Alaska Airlines revealed the most substantial updates to its brand in a quarter century, streamlining its wordmark and adding pops of color around its iconic Eskimo tail design. Common theories over the years have included Jimi Hendrix, Abraham Lincoln, Bob Marley, a lion and Johnny Cash. But two of the most popular involve two very real people: native Alaskans Chester Seveck and Oliver Amouak. “Everybody in Alaska knows who’s on the tail – they just can’t agree,” laughs Perry Eaton, an Alutiiq artist based in Anchorage. The four-logo paint scheme was the brainchild of Alaska’s marketing department and its advertising agency at the time. The icons were designed by the agency’s artists, and the Eskimo and miner were intended to depict generic representations of a traditional Alaskan Eskimo and a Klondike gold miner. Whether the artists were inspired by real people remains a mystery to this day – both within the company and without – as no official documentation has ever been uncovered indicating that either the Eskimo or the miner was based on a specific person. To the 15,000 employees of Alaska Airlines and its customers throughout North America, the Eskimo is more than a name or a face painted on the tail of a plane. It’s a reflection of people and their connection to the airline they love. He stands for community and teamwork, the beauty of knowing there’s a big world out there to explore; the airline’s rich history, and its dynamic future. 85 comments on "The story of the Eskimo: Who is on the tail of Alaska Airlines’ planes?" To put the famous question to rest. This is an article from the Artist on his web page. Makes me pretty proud since I’m from Kotzebue. Referring to Alaska Native people as Eskimo is considered an insult. While the face of an Alaska Native is a very popular icon on your tail it would be very much appreciated if you stopped calling him an Eskimo. Alaska Airlines claims deep roots in Alaska, please honor those roots and stop insulting the very people you claim to serve. Thank you. I love that you went to Kotz to talk to folk. One of my favorite people hailed from there. Good job. I know who the face on the tail is, it is everyone who lives, has lived or dreams of living in Alaska. He is a calming sight when boarding a flight to Unalaska or anywhere in the bush, and those who have made some of those flights know exactly what I mean. He is saying trust me, I will get you to your destination safely, I will take good care of you as we are all Family and Families take care of each other. We are bound by the spirit of Alaska and the proof is the face on the tail… OUR face. I know that Alaska Airline will always be my choice. Since the time my son was hurt very badly in an accident there , and was not expected to live thru the night. I was in Montana at the time and Alaska got me there in a short time. My son lived thru it and I followed his medevac jet to Seattle’s Harborview hospital, in the next plane and beat the patient to the hospital. After a few weeks at Harborview, I brought him home to Quilcene WA.. He is a healthy young man now at the age of fifty four. I don’t care whose picture is on the tail , I am still flying Alaska every time I fly out. Thank you Alaska Airline for the wonderful service I received those 25 years ago. Shelby Colyott , Quilcene , WA. I have a similar story. I was in Oakland, CA on business and about to head back up to Seattle when I had received word that my mom had passed away down in San Diego. I called Alaska, and the folks at the reservations desk helped get me on the next flight down to San Diego even though it was on a completely different airline and reservations system (Southwest). Alas, I was too scatterbrained at the time to remember the name of the agent who assisted me during a very difficult time. But if you’re reading this: thank you for helping me! He is the Alaskan Grandfather, the Wisdom and Knowledge teacher, He is the face of respect. A fascinating story, and since the actual Eskimo likeness cannot be claimed by anyone one individual it must, like a fairy tale, become a tale for the future. This story is really disappointing. I thought for sure you would interview the artist Fred Thomas who created the Eskimo logo for Alaska Airlines. He is a fabulous artist and contributor to PNW art. Being from Southeast Alaska and growing up with Alaska Airlines, I was always told the face was an Alaskan sourdough. Loved your video clip! And love that Alaska Airlines always takes great care of my family: my furry ones who travel often! I recently traveled south from Anchorage on a difficult family situation. I can say FOR SURE, WITHOUT ANY DOUBT that the Alaska Airlines Employees have a very unusual ability to sense when travelers need that extra special little bit of help to both get them where they’re going and bring them home again safe and sound. Having 2 Titanium knees on the FDA Recall list can be let’s say troubling at times. It’s only when you have to walk or sit down somewhere that things can get tricky. From the time I got to the airport to leave to the time I landed back in Anchorage travelling from Phoenix home Alaska Airlines Employees were there for me in ways maybe only I can appreciate. Thank You Alaska Airlines for getting this big old construction worker to Arizona and back. Without You All I don’t know if I could have made it. You’ve always been there for me since my early days at Prudhoe Bay until now when distant family members need my help. See you soon, looks like there is more trouble on the horizon and we’ll have to do the ANC-PHX loop again. As for the face on the tail of Alaska Airlines my first initial thought was… “WOLFMAN JACK” the DJ with the raspy voice from back in the good ol days! Aloha! I am from Maui, Hawaii. My very first time that I went to the Mainland was in 2012, on Alaska Airlines. Since then I have made a total of 6 round trips and I LOVE EVERY MOMENT OF IT! From “check-In” to “touch down” and back . They made my experience as a first time flyer PLEASUREABLE, for they were ON-TIME, FRIENDLY and HELPFUL. Even though the flight was long, I felt SAFE and COMFORTABLE. Thank you Alaska Airlines for your wonderful service and smooth navigations! You are my choice when it comes to flying!. This video warmed my heart and brought tears to my eyes. I love the man on the tail. He must be the archetype of the person at the cross roads who points out which way to go. When I fly on Alaskan Airlines I meet such great flight staff who make me feel like I am on a great adventure to wild Alaska… !! Thank you for making me feel part of a wonderful special journey… and for making me feel safe… !! Being a stock holder in Alaska Air, a frequent flyer on another airline (American) living in Houston, TX, I always wondered the story behind the image on the tail, now I know…truly a marvelous story, thank you for sharing!! In this market Alaska Air it’s a good stock to own, symbol is ALK. You have heard the saying, “What goes around, comes around! !” This is a true belief in our Yupik/Eskimo culture. Brenda Ritchey’s book, KNOW THE HAPPY FACE, is her Grandfather who is also my Grandfather’s Brother. I/we know from our hearts the face on the tail of your jets is Oliver Amouak. I hate to break the spell and speculation but I think one phone call to Paul Ongtooguk in Anchorage Alaska will solve the mystery. Paul’s late father, Tommy Ongtooguk, was a photographer who lived in Kotzebue and Barrow at various times in the 70’s and 80’s. Tommy was full blood Inupiat and well known for his photographs of Natives. According to Paul (a professor at University of Alaska, Anchorage & Director of the Center for Research and Alaska Native Education), his father took this picture of a friend and the actual photograph was used to paint the face on airplane tails. Of course, this could be another legend but I’ve known the Ongtooguk family for decades and I don’t believe they’d make this up. I always wondered whose face adorns the tails of Alaska Airline planes. Your article clarified many of my questions. Whether the person was from Nome, Barrow or any other part of Alaska, it matters little. It is the calm, cool, smiling face of an Eskimo, and that is what matters the most to me. From many of my international journeys, when I return to the US and see the pleasant Eskimo face of Alaska Airlines at the airport, it reassures me that i have arrived at home. The feeling at that moment is incredible. I first flew Alaska Airlines in 1984 and since then it has been my airline, and will always remain my most favorite airline. I am very proud of your performance and hope that your tradition of good service will continue. We’ve kept the small Bible verses that once were standard on dinner trays. Their discontinuation was the only disappointment I’ve experienced in the 30+ years flying Alaska. Oh yeah, I loved those! I used to save them too! Alalsa is a wonderful, professional and friendly airline. Loved this story about the tail too. Alaska is my favorite airline! Always my first choice. Keep the tail forever. You truly bring humanity and warmth to your Alaska flights; and this sharing of your past and current stories is typical of what I expect. I believe I have flown close to half a million miles on Alaska, and if you went everywhere I travel I would probably choose Alaska. Thank you for your service. Your seem like a good friend.